A couple of weeks ago I talked about the vampire scare of 1888. While that was a pretty orderly vampire scare (as these things go), there does seem to have been at least ONE case of vampirism in the city. “Vampirism” here refers to the practice, not exactly common but certainly not unknown, of digging up the body of a consumption victim and destroying it (usually burning the heart and liver) due to belief that the dead bodies “fed” off living ones, causing consumption (tuberculosis) in the living. There are several documented cases when bodies were exhumed for this purpose throughout the 19th century, primarily in New England. Those involved don’t ever seem to have used the term “vampire,” though newspapers reporting on it often did. Mercy Brown of Rhode Island, who was disinterred in 1891, is probably the most famous instance, and probably the last in the United States, though an 1893 article in the Trib implies that it was still happening in Pennsylvania at the time. Dr. Dyer, an eminent physician in Chicago, Illinois, told me (1875) that a case occurred in that city within his personal knowledge, where the body of a woman who had died of consumption was taken out of the grave and the lungs burned, under a belief that she was drawing after her into the grave some surviving relatives. Beyond that snippet, details are scarce, if not non-existent. 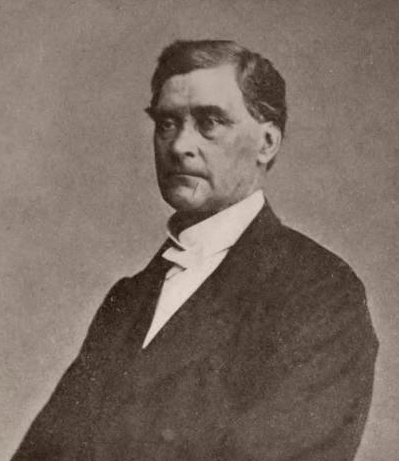 Dr. Charles Volney Dyer was a prominent physician and abolitionist in the city, though he dealings in real estate allowed him to retire from active medical practice in 1854. Had the exhumation been conducted under his watch, it probably would have taken place in City Cemetery (which is now Lincoln Park). However, it seems unlikely to me that Dyer would have authorized or participated in the practice himself. But in addition to his capacity as a physician, he was also one of the founding fathers of Rose Hill cemetery, and probably heard stories about anything unusual happening there. And, of course, as a 19th century physician, exhuming corpses was probably not a practice unknown to him to start with, and old-time doctors seem to have enjoyed swapping tales of grave-robbing. So there are plenty of ways he could have heard about the instance, even if he didn’t participate personally. And, heck, he MAY have been there firsthand – at least a few doctors of the era had stories about presiding at exhumations for the purpose of burning the heart to cure consumption in the living in that era, though most noted that they thought the whole spectacle ridiculous. So, all that we know of the instance in Chicago is that it apparently happened some time in (or more likely before) 1875. I’ve found several references to “vampirism” in Chicago and Illinois papers, but most refer to it as something that happened in New England, with no references to a Chicago case. What we have a a lead on a no-doubt fascinating story, but one with so little information as to become a frustrating brick wall very quickly.